With utility costs, pollution, and water consumption on the continuous rise, the task to improve the environment and lower utilities costs is often on the minds of many homeowners. 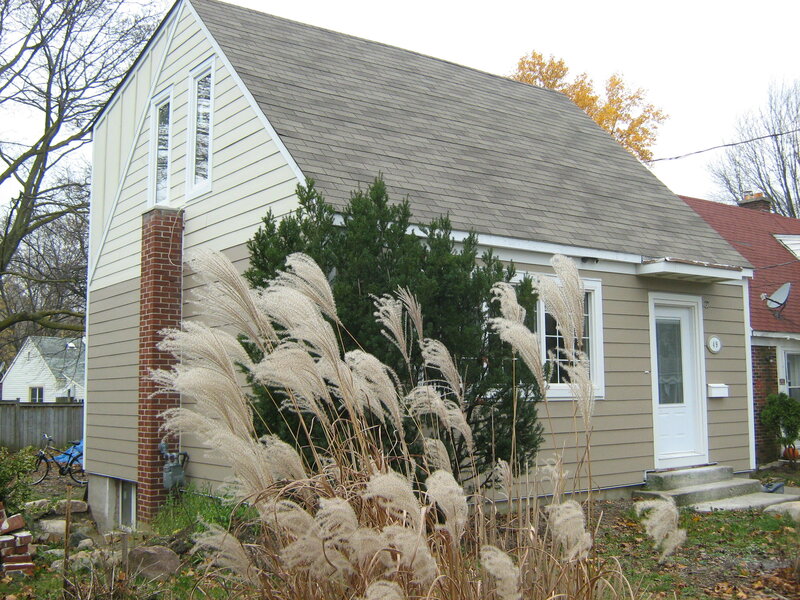 While a net zero home may not be an option for everyone, there are some simple improvements and upgrades you can make to achieve a greener, cheaper home at any price point. 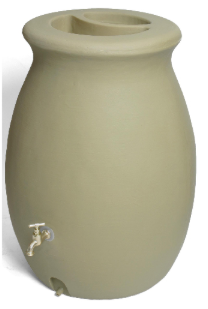 Rainwater Barrels – Collect free water using a rainwater barrel. At an average cost of $100, a barrel will pay for itself in 5 years, saving you about $20 a year on your water and sewer costs, depending on the size you select. Rainwater has many uses including, plant and grass watering, car and window cleaning, and all sorts of other outdoor jobs and cleanups. Many municipalities offer rainwater barrels at a discounted price during certain times of the year, so keep an eye out. Low-Flow Toilets – In an average home more than 30% of the water consumption is literally flushed down the toilet. Today’s more modern, low-flow toilets use less than 5L of water per flush, while their older counterparts need 13L per flush on average, using unnecessary water while hiking up your bill. A good low-flow toilet will run you about $250, but will save you $100 per year on your water bill, making the investment well worth while, returning your investment in 2.5 years. Low-flow Faucets and Shower Heads – Easily cut bathing water consumption by 50 to 70% by switching out shower heads and sink faucets. A low-flow shower head or faucet rang in price from $60 to $300 depending on make and style. By upgrading these fixtures throughout your house you will see a noticeable decrease in your bill. Programable Thermostat – Having better control of your indoor temperature can save you a lot a cash. With the average family home saving $150 per year by decreasing/increasing the temperature at night and during the day (when no one is home). A good programable thermostat will cost roughly $75 – $150. They are easy to install and can allow you to program the temperature several times throughout the day, 7 days a week. Returning the initial investment usually within one year or less. Energy Star Appliance – With appliances efficiency is key. High efficiency products help reduce greenhouse gases and lower you energy bill. There is a lot of information on Energy Star products, so do a little research before heading to the store. 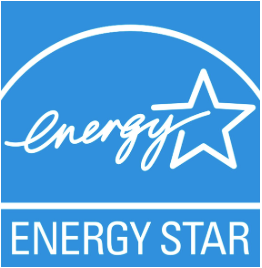 Be sure to purchase products with the Energy Star logo (the international symbol for energy efficiency. Here are the best rated Energy Star appliances of 2013. 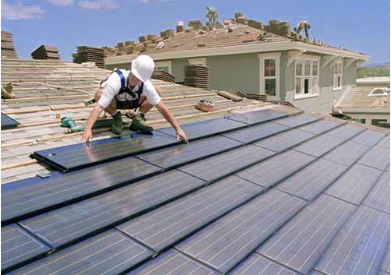 Solar Energy Systems – Yes, the initial cost of solar is hefty, anywhere from $10,000 to $45,000 for the solar panels, system, installation and connection to your local grid, depending on the size of your home and energy needs. This investment can be offset by a monthly cheque from your local hydro company by participating in the Ontario microFIT-income program. http://microfit.powerauthority.on.ca/about-microfit This programs allows hydro companies to buy clean renewable energy from home owners with excess kilowatt hours (kWh). Homeowner’s with a rooftop solar system will receive a cost per kWh for every kWh that is sold to the grid. By participating in this program the system will paying for itself in an estimated 9 to 10 years, not too bad considering you will be producing your home with your own clean renewable energy as well. Whether you plan for a complete home renovation or just some simple around the house improvements, incoporating a few of these features into any project will create a cheaper home. With that you can feel good about helping to improve our environment with your greener home. This entry was posted in Environment, Real Estate and tagged Energy Star Appliances, green home upgrades, house renovation, net zero home, Ontario microFIT income, sustainability on 2013/06/17 by adminjma.